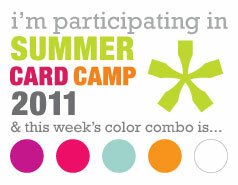 Summer Card Camp 2011 has begun! Check out this week's fun, summery colors. Here's my card using Lawn Fawn's Sew Lovely stamp set and My Mind's Eye papers. 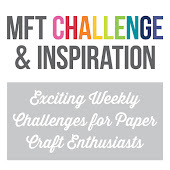 I took the route that Kristina shared on gathering papers with the challenge colors first. I was so happy to find perfect color matches in the Fly a Kite and Happy Go Lucky paper pads. The dress form was stamped on some Basic Grey papers. I also used Martha Stewart's hydrangea border punch and placed an orange gemstone on the dress form. 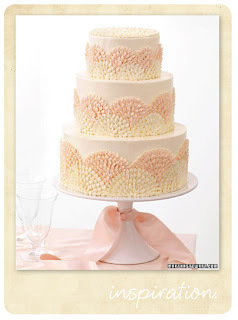 The sentiment was embossed with white detail powder. Hello there! Quick post today. 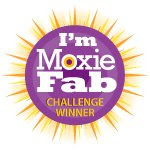 Did you go here to see if you were the winner of last week's Moxie Fab World giveaway of Purple Onion Designs stamps? Two lucky ducks won tons of Purple Onion stamps! Hope one of them was YOU! Here's another card that I made with more of Stephanie Ackerman's fun stamps--Curly Bird and Home Sweet Home. Lots of paper piecing and ink distressing and no kraft in sight! I even decorated the inside of the card. See? I was probably the last person to sign up for Summer Card Camp. It was a last minute decision but I'm glad that I joined. It'll keep my brain fresh and there's always tons of inspiration from Jennifer and Kristina and all the other fab guest designers. I'll be sharing my cards here, too. Stay tuned.......I'm a happy camper! I've always wanted to try an all vellum card. And I learned that embossing vellum isn't that easy. When I first embossed the butterflies, the vellum just curled and the butterflies looked like they'd withered. Not good for a wedding card. I set them aside and forgot about them. Lo and behold, after they cooled off and I let them rest, they unfurled and bloomed into beautiful butterflies. I decided to make another white on white card and finally inked up the Wreath of Leaves stamp by Hero Arts. 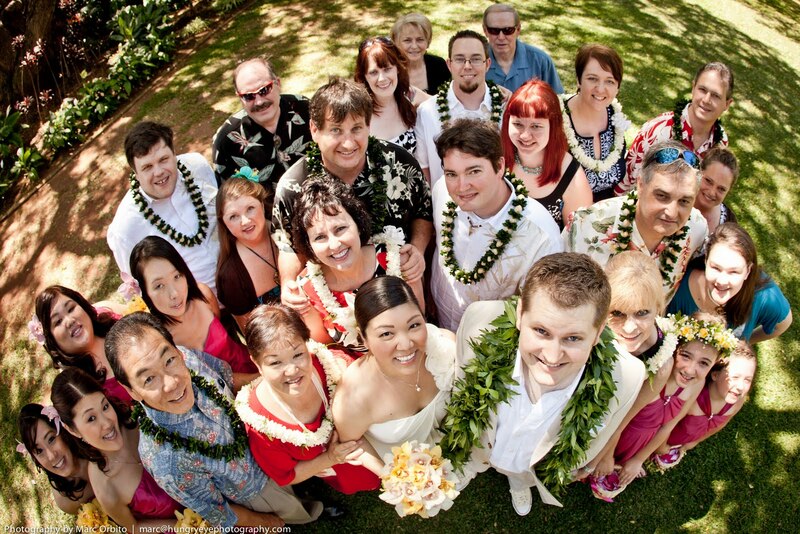 Speaking of weddings, I thought I'd share a picture of our daughter's wedding day. We were all anxious to see how this photo would turn out with a "fisheye" lens. And here's my favorite photo of our two girls. Our younger daughter had just given her customary "maid of honor" speech which was both touching and funny. Love my girls! Thanks for letting me share some happy memories! Have a great week! Who's off to Summer Card Camp? Hi there! Hope your weekend is off to a great start. Just sharing another card using some Purple Onion Designs stamps and directing you to the Moxie Fab World blog for your last chance to comment to win some POD stamps. I used the Summer noteblock and stamped it on some Basic Grey paper, and added some pennants from the Build a Banner set (part of the giveaway), that I stamped on Olivia papers. The sun is from the Home Sweet Home set (also a part of the giveaway) and the little fella is from the Bird Cage set. Both images were stamped on Sassafras papers and the sentiment is by Hero Arts. Notice his shades? I used a Copic multiliner pen to sketch in some Ray Bans. Eye protection is so important. 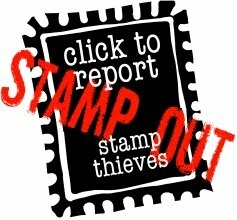 You have until Sunday, June 26th, to leave a comment here for a chance to win all the stamps shown. Hurry! Purple Onion Designs on Moxie Fab World! 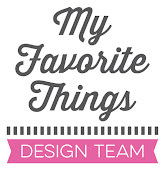 Purple Onion Designs is being featured on the Moxie Fab World blog today! Purple Onions has been given Cath's Stamp of Approval and you have to check out the stamps she's giving away to two lucky commenters. Here's my card using Purple Onion's Curly Bird and some stamps from the Home Sweet Home set. I love that fun bird and her fabulous tail! I used Basic Grey's Olivia papers and Sassafras' Mix and Mend papers to paper piece the bird and sun. The faux stitches were made with Sassafras' Stitchery stamp set and the sentiment is from Homegrown Sentiments. Remember, if you want a chance to snag some Purple Onion Designs stamps, visit Moxie Fab World and simply leave a comment for a chance to win. And go here to see more awesome samples from the rest of the POD team. Good luck! Hello friends! I made this card "just for fun" after seeing the photo from Kelly Rasmussen on the Hero Arts blog for Fresh Inspirational Friday. 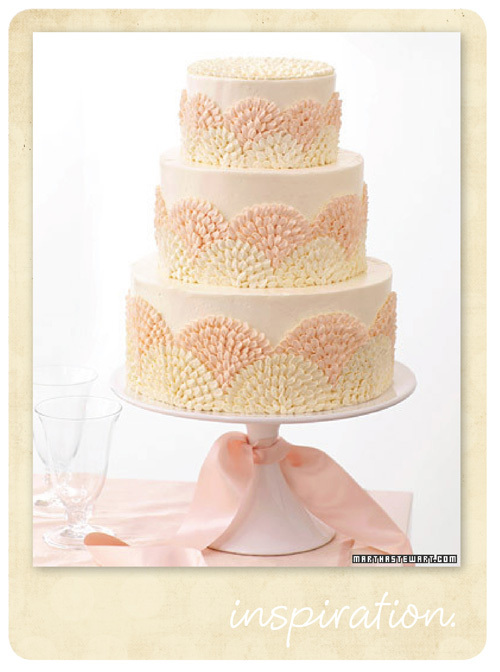 Here's the photo, courtesy of Martha Stewart Weddings. I wish you could see the pearlized embossing. 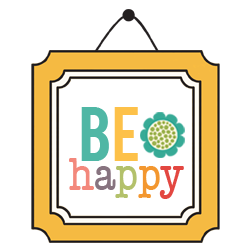 I used the scalloped label and flower from Hero Arts new Sweet Threads Labels set, and the sentiment is from Find Joy. The pretty pink ribbon was given to me by my sweet friend Kiara. Speaking of celebrations, I'll be taking a short blogging break as my hubby and I celebrate our 32nd anniversary with a much needed vacation and getaway. I'll see you all when I return. Have a wonderful week....I know I will! 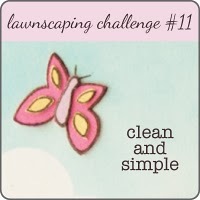 Lawnscaping's Challenge #11 is CAS--Clean and Simple. 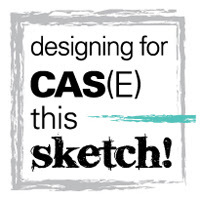 I've been CAS-ing a lot lately, and I love it! For my card, I used Just My Type, a set of stamps that I won for Lawnscaping's Challenge #3. It's the first time I've inked it up. Chalk up another stamp set that finally touched some ink. I stamped and colored the telephone and then stamped "hello" in three different colors on the bottom. I tied a bit of twine, rounded the corners and the card was done. CAS makes me happy. I hope you're all having a happy weekend! that have never touched any ink before I invest in some new stamps. Yay, me! onto vellum, but they turned out a little wonky from the heat, so I chose ivory cardstock. I cut out the card and frame with Reverse Wonky Rectangles and embossed with Tim Holtz' Texture Fades folder which reminds me of a screen. The leaves are Sizzlits from Stampin Up and I added pearls on the butterflies and the background. Thanks, always, for stopping by! Have a wonderful weekend! Hello summer, goodbye Tiffany Doodles! Since today is the 7th, it's time for another challenge at Tiffany Doodles. This month's theme is "Steppin' into Summer" and Tiffany's been creating a lot of fun, summery digis in her store. I decided to use the flip flops and do some paper piecing again. I printed out the digi on some patterned paper and colored the straps and soles with a Copic marker. The background is Hero Arts Designer Woodgrain stamp and I layered the flip flops on a scrap of notebook card. The sentiment was handstamped and some colorful pennants finished the card. And I'm so excited to share that there are three new members to the Tiffany Doodles team! Anette, Judy, and Sally have all climbed on board and are knocking out some amazing cards! Please visit their blogs to see what they've done with Tiffany's Doodles. 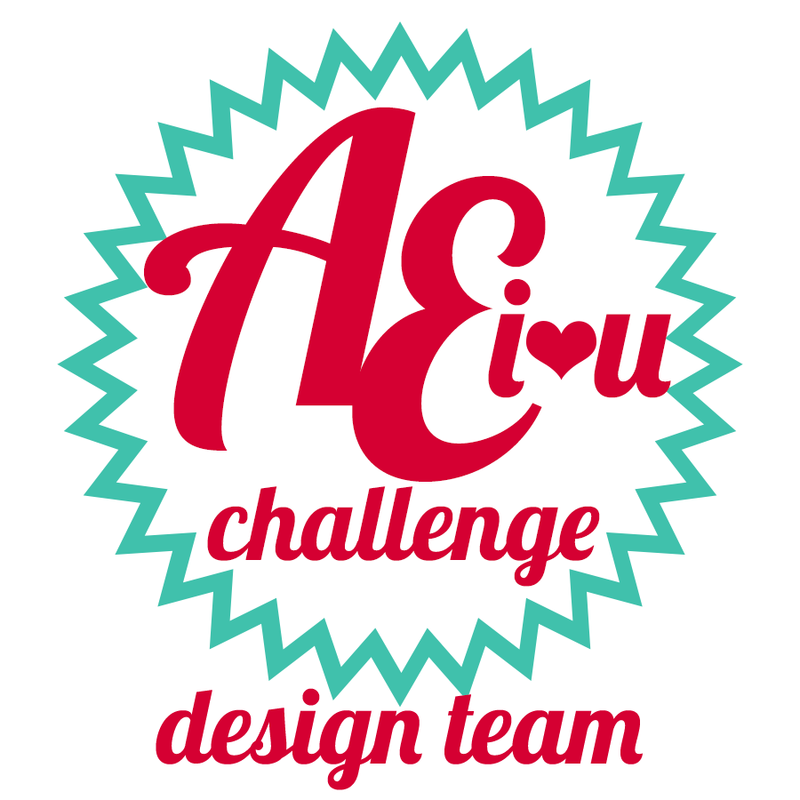 The challenge runs until June 21st and you can win a $10 voucher to be used in the store! We hope you'll join us....good luck! 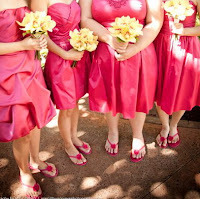 Trivia note: In Hawaii, "flip flops" are called rubber slippers. Every household has several pairs per person in assorted colors. It may be summertime footwear, but here in the isles, it's every day footwear. My daughter and her bridal party even wore some dressy ones for her wedding! June is a busy celebratory month in our family. Seven birthdays--our daughters are two days apart!--and a sprinkling of anniversaries, too. Here's a quick card that I made using one of Torico's new digital stamps. Love the wonky birthday cake! I colored it with Copics and added Glossy Accents to the frosting and Diamond Stickles on the candle flames. I scrunched and stapled a colorful ribbon (Thank you, Kelly!) and the sentiment is by Hero Arts. You can find this birthday cake digital stamp here in Torico's Etsy shop, Birdie Brown. She also generously offers occasional freebies on her blog. Check it out! Hello friends! Hope you're having a drier weekend than me. It was raining so hard, I was ready to build an ark. While it was storming, I played with the Touch of Whimsy stamps again, and made another framed card. I colored all the images with Prismacolor pencils and used a white pigment pen for the faux stitching and dotty sky. And how about that blue bunny? I made his umbrella fly beyond the frame, and the sentiment is from Papertrey Ink. I'm having too much fun with these whimsical bunnies and what better way to spend a stormy day than with some happy stamps. Hope you're having a happy weekend, too! Here's a new digital stamp from Tiffany Doodles on sale now in Tiffany's store. It's actually a succulent, which is a member of the cactus family, that I colored to resemble a marigold. I was inspired by this card, by former Tiffany Doodles team member Virginia, and decided to turn a cactus into a flower. I enlarged the digi to about 4" across, printed it and sponged on colors with distress inks--Scattered Straw, Wild Honey, and Spiced Marmalade. I cut out and attached a back piece and added some gemstones on the front. I didn't add a sentiment--there was no room for one--so this card can be used as an all occasion notecard and can fit into an A2 size envelope. You can find this digi in the Tiffany Doodles store and for one week, Tiffany is offering a 10% discount on this digital stamp if you use the promo code "succulent" during checkout. Hello friends! Can you believe it's already June? It sure snuck up pretty fast! 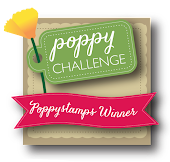 Today I'll be sharing a mini card for Penny Black's latest challenge--Borders and Frames. I couldn't resist the new Touch of Whimsy stamp set. Those bunnies stole my heart! After stamping the images, I colored them with Prismacolor pencils and used the Reverse Wonky Rectangles dies (again!) to cut out the card and frame. Since this card is only about 3" by 4", I looked for the tiniest set of sentiments that I owned and chose Mixed Messages by Papertrey Ink. Some faux stitches with a white pigment pen and a drop of Liquid Pearls in the center of the flower and the card was done. The whole set of stamps is whimsical and fun and I think I'll be stamping more bunnies this weekend.